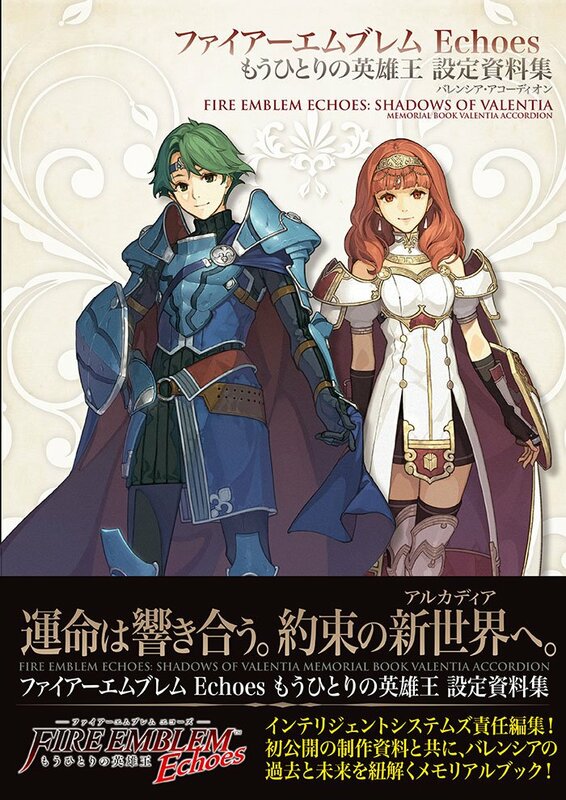 Today is not exactly a translation, but it does have to do with the Fire Emblem 25th Anniversary book. The book features five special illustrations that have Marth, Sigurd, Eliwood, Ike, and Lucina, each drawn by the same character artists in charge of their respective games. You may view them on the book’s compilation post here, but I wanted to make individual pages for each one, too. So, today, I provide Sachiko Wada (character designer in Blazing Sword)’s artwork of Eliwood. I went out of my way to clean it up for people who wanted the artwork. Nostalgic! So, today, I provide Katsuyoshi Koya (character designer in Mystery of the Emblem and Genealogy of the Holy War)’s artwork of Sigurd. I went out of my way to clean it up for people who wanted the artwork. So, today, I provide Daisuke Izuka (character designer in New Mystery of the Emblem)’s contribution: Marth. I went out of my way to clean it up for people who wanted the artwork. So, today, I provide Yusuke Kozaki’s contribution: Lucina. I also went out of my way to isolate it for people who want just the artwork, and then went ahead and colored Lucina myself! (You may see it uploaded on a friend’s DeviantArt account , no, they did not steal that, we collaborate a lot).